In 2012, President Bashar al-Assad’s government deliberately murdered US reporter Marie Colvin in Syria. Reporters Without Borders (RSF) and other organizations filed a lawsuit in a federal court with significant evidence of the direct responsibility of Syrian government officials for Colvin’s death in a Syrian army bombardment in Homs on 22 February 2012. 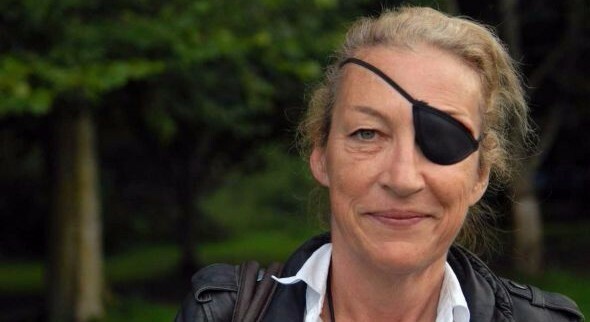 Marie Colvin, who was reporting for the London Sunday Times, was killed along with French photographer Rémi Ochlik while French reporter Edith Bouvier, Syrian media defender Wael al-Omar and British photographer Paul Conroy were wounded in the same bombardment. We now know that these journalists were targeted and killed because they were providing information about the Syrian army’s crimes against civilians. Together, let us stand to end Impunity for crimes against journalists. We heard the very sad news on Sunday that veteran NPR photographer and video reporter, David Gilkey, was killed in Afghanistan along with his Afghan interpreter Zabihulla Tamanna. The Humvee they were riding in was hit by rocket-propelled grenades in an apparent ambush, according to NPR. The driver, a soldier from the Afghan National Army, was also killed. This tragic news highlights again how journalists and photographers risk their lives every day to bring information out of dangerous areas to the listening world. Our lives would be very different if there were not people in the world like David Gilkey. As RSF mourns another loss in the journalism community, we share this news with you as members and friends of this same community — one that understands the importance of press freedom around the world. Thank you for your support. We have just heard the news and want to share it with you: Khadija Ismayilova, the famous Azerbaijani investigative journalist finally gets out of prison today. Her sentence of seven years and a half in prison was commuted to a sentence of three and a half years of probation. It’s a huge relief to know that Khadija can finally leave her cell, go home and see her family after 18 months in detention on trumped up charges. Khadija’s counsel Amal Clooney explains the horror of this case. Our mobilization was successful, and we are celebrating Khadija’s 40th birthday on May 27 in a special way. We hope you will join us and send Khadija a birthday card. But let us not forget that Khadija was still convicted. Without recognizing her innocence, the regime of Aliyev has only found a way to silence the outrage of all defenders of freedom. Justice will be done when those responsible for Khadija’s judicial harassment are brought to trial. Continue fighting alongside the heroes of information! Während des Zweiten Weltkriegs, als Leningrad von den Deutschen belagert wurde, erkrankte die Mutter von Wladimir Putin. Sanitäter wollten sie mitnehmen – nicht um sie ins Krankenhaus zu bringen, sondern weil sie glaubten, dass sie bald tot sein werde. Doch Putins Vater hielt die Sanitäter auf, er pflegte seine Frau, bis sie gesund war. “Sie lebte bis zum Jahr 1999. Er verstarb Ende 1998”, schreibt der russische Präsident in einem Artikel, der in der “Frankfurter Allgemeinen Zeitung” erschien. Eine 1926 geborene Georgierin namens Vera Putina, behauptet die Mutter von Wladimir Putin zu sein. Ihr “Wowa”, wie sie den Jungen nannte, sei am 7. Oktober 1950 zur Welt gekommen, unehelich – der Vater des Kindes war bereits verheiratet und lernte seinen Sohn nie kennen. Als Vera Putina ein paar Jahre später selbst heiratete, fingen die Probleme an: Ihr Mann akzeptierte seinen Stiefsohn nicht, “Wowa” wuchs daher bei seinen Großeltern auf. Mit neun Jahren gaben die ihn ebenfalls weiter, an ein kinderloses Paar, mit dem sie entfernt verwandt waren: Wladimir Spiridonowitsch Putin und Maria Iwanowna Putina. Offiziell sind diese beiden Putins leibliche Eltern. Laut Vera Putina zogen die beiden mit dem Jungen nach Leningrad, meldeten ihn bei den Behörden an und ließen dabei seine Geburtsurkunde ändern. Diese Geschichte ist bereits 15 Jahre alt, Vera Putina hat sie im Januar 2000 einem Tschetschenen namens Rustam Daudow erzählt, der damals in der tschetschenischen Repräsentanz in Tiflis arbeitete. Ein russischer Journalist, dem Daudow das Video mit Putinas Aussage übergeben wollte, starb auf dem Weg nach Tiflis – sein Flugzeug stürzte im März 2000 nach dem Start in Moskau ab. Ein italienischer Journalist, dem Daudow eine Kopie seiner Videoaufnahmen gab, wurde im Oktober 2000 ermordet. Drei Jahre später wurde in der aserbaidschanischen Hauptstadt Baku ein Rustam Daudow erschossen – ein anderer Daudow, ein Namensvetter. ► Im März 2000 verunglückte der Investigativ-Reporter Artjom Borowik auf mysteriöse Weise in einem Flugzeug. Er war auf dem Weg nach Tiflis, um sich mit Daudow zu treffen und das Video anzusehen. ► Im selben Monat bot Daudow die Story der großen Tageszeitung „Türkiye“ und an einem türkischen Fernsehsender an. Seine Hoffnung: Käme die Geschichte im Ausland groß raus, würde auch endlich die russische Presse mit der Berichterstattung beginnen. Sofort nach dem Abdruck, so erzählt es Daudow, versuchte die russische Botschaft in Istanbul die Sendung zu verhindern. Sollte die Nachricht im Fernsehen laufen, würde das Großprojekt zur Gaspipeline „Blue Stream“ abgesagt, sollen die Diplomaten gedroht haben. Der Beitrag wurde nicht gezeigt. Putin gewann die Präsidenten-Wahl. ► Am 15. Oktober 2000 traf der italienische Kriegsreporter Antonio Russo Daudow, bekam von ihm eine Kopie des Videos. Einen Tag später wurde seine Leiche gefunden, sein Tod wurde nie richtig aufgeklärt. Sein Computer und die Videokassette wurden aus seinem Hotelzimmer entwendet. Zwei italienische Ermittler wurden unter Einmischung des russischen Geheimdienstes kurz nach ihrer Ankunft in Georgien wieder ausgewiesen. Die zwei georgischen Polizisten, die den Fall Russo untersuchten, starben unter seltsamen Umständen (Selbstmord und Vergiftung). ► Im September 2003 kam Daudow selbst ins Visier der Ermittler. Das russische Fernsehen zeigte sein Foto und berichtete, er wäre bei einem Raubmord getötet worden. Doch Daudow war am Leben! Vermutlich, so sagte er der „Zeit“ später im Interview, wurde ein Namensvetter ermordet. Nach diesem Vorfall halfen die Vereinten Nationen ihm und seiner Familie, aus Georgien auszureisen und eine Aufenthaltsgenehmigung im Ausland zu bekommen. Heute lebt Daudow im Westen, will aus Sicherheitsheitsgründen anonym bleiben. Die Morde sind nicht die einzigen Merkwürdigkeiten. Im Februar fuhr Dobbert selbst nach Metechi, das Dorf nahe Tiflis, in dem Vera Putina noch immer lebt. Eine ihrer Töchter verhinderte, dass der deutsche Journalist mit ihr sprach. “Sie darf nichts mehr erzählen. 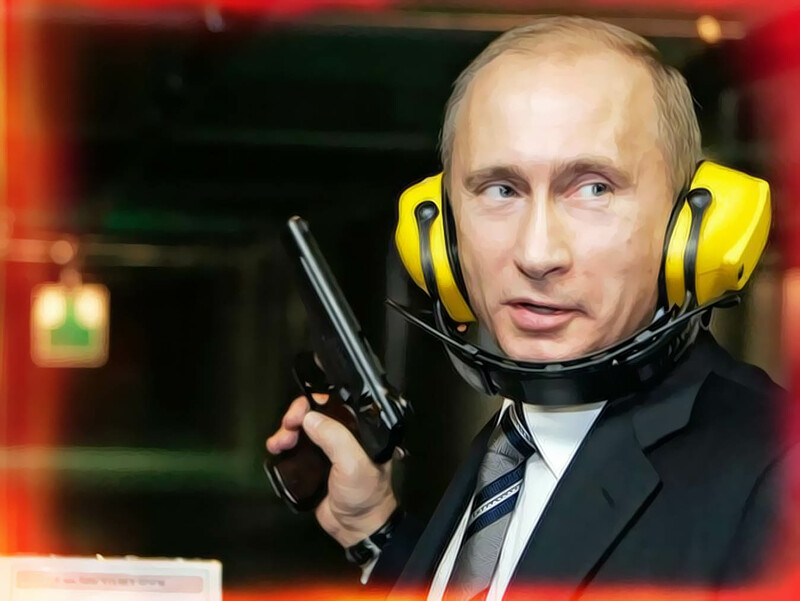 Man hat ihr verboten, mit Journalisten zu sprechen”, sagte die Frau, die Putins Halbschwester sein könnte. Das russisch-georgische Verhältnis ist angespannt: 2008 führten die beiden Länder Krieg, Russland unterstützt zudem die abtrünnigen Landesteile Abchasien und Südossetien. By Hamish Boland-Rudder | U.S. government surveillance programs are scaring away sources, making journalists feel like criminals and spies, and impacting the public’s access to quality news reporting, according to a new report. Journalists interviewed by Human Rights Watch for the report spoke of the time-consuming and arduous measures they have had to go to in recent times to ensure their work and their sources were not compromised – interestingly, much of it involved a delicate balance between using special technology, such as encryption, and abandoning technology altogether. “Journalists told us that officials are substantially less willing to be in contact with the press, even with regard to unclassified matters or personal opinions, than they were even a few years ago,” the report said. The journalists also said the additional security measures were not only a burden that made reporting take longer, but also sometimes threatened to scare sources away. “In many instances, for encryption to work, both the journalist and the source must have some facility with the same encryption tool. Some journalists expressed doubts about their own ability to master encryption and related technologies,” the report said. Most journalists also expressed doubts about how effective their security measures were in the first place. Some did not believe encryption offered ironclad protection, and many indicated that journalists were simply not equipped or trained to adequately cover their tracks against the reach of authorities like the NSA or other intelligence services. Government officials interviewed countered journalists’ concerns that increased surveillance was making it more difficult to work or receive material from whistleblowers, pointing to stories like the NSA revelations from Edward Snowden as proof that a culture of leaking is alive and well. But the report details a number of deterrents put in place by the government to discourage leaks, including over-classification of documents, limiting officials’ contact with media, and the “Insider Threat Program” which calls on government employees to be alert to colleagues who may be leaking state secrets. It also points out that the risk of prosecution for whistleblowers has never been higher. “It is not lost on us, or on our sources, that there have been eight criminal cases against sources [under the current administration] versus three before [under all previous administrations combined],” said Charlie Savage, a Pulitzer Prize-winning reporter for the New York Times. Despite coming with news that more than €37 billion worth of hidden wealth has been revealed in transparency drives, the announcement of a new financial information exchange scheme was greeted with skepticism by activist groups this week. The Organization for Economic Cooperation and Development (OECD) published full details of its global Standard for Automatic Exchange of Financial Account Information in Tax Matters on Monday, which has been under development for months as part of an international drive for more transparency in the banking sector. The standard provides a framework for governments to obtain detailed account information from their financial institutions and share it annually with other jurisdictions. It would include sharing information about who owns the account, and the amount of money in the account, to help governments fight tax fraud and evasion. “[This] launch moves us closer to a world in which tax cheats have nowhere left to hide,” said OECD Secretary-General Angel Gurria in a statement. The OECD said more than 65 countries and jurisdictions, including Switzerland, Luxembourg and Singapore, have already publicly committed to implementation of the new standard, with many looking to have structures in place by 2017. But other financial centers, such as Dubai and Panama have indicated they will resist any global push for greater transparency. And the response so far from transparency activist groups has been mixed at best, as a number questioned the OECD’s commitment to including developing nations in the framework. “Yet again, the OECD has flunked an opportunity to rid the world of the curse of tax havenry,” said Tax Justice Network’s Markus Meinzer in a statement. One of their primary criticisms is that developing countries will be forced to collect and provide information – a process that can be prohibitively costly and difficult – in order to take part in the scheme. Tax havens, on the other hand, will have to provide information but can elect not to receive any in return. “This does not reflect well on an organization whose membership includes so many of the world-leading tax havens,” Meinzer said. The Financial Transparency Coalition was scathing in its analysis, attacking not only a perceived disregard of developing countries, but also the very publication and cost of the OECD’s report itself. “Accessing the document is a perfect illustration of why this process needs to include low income countries from the start; it costs $73 to download the document—not an insignificant sum for a cash-strapped government, and a prohibitive amount for a citizen watchdog group,” said Porter McConnell, Manager of the Financial Transparency Coalition. British aid organization Christian Aid was similarly unimpressed, and said the standard as it currently reads not only opened a number of loopholes for tax havens to exploit (including unequal standards for how information is shared), but also neglected to include mechanisms that would make the process easier to implement in developing nations. “Since the move to automatic information exchange began we have heard rumors that some offshore centers are focusing their attentions on developing countries, knowing that they will be/can be excluded from such developments, and so provide a source of continued business profiting from tax evasion,” said Christian Aid’s economic adviser Joseph Stead. 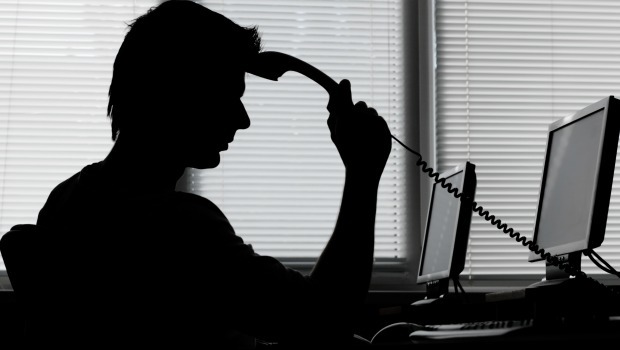 As part of the publication of the standard, OECD released analysis which found more than 500,000 taxpayers from around the world have voluntarily disclosed hidden income and wealth to their relevant national tax authority since 2009, often taking advantage of reduced penalties to taxpayers who admitted having overseas accounts. The OECD said voluntary disclosure schemes have helped countries identify more than €37 billion in assets hidden overseas. The information exchange standard has been released with a call for public comment to be submitted to the OECD by September 12. The standard will then be presented to the G20 Finance Ministers meeting in Australia in late September ahead of the full G20 Summit in November.